The outdoor recreational products manufacturer headquartered in Virginia Beach, Virginia has been named one of 2014's Best Places to Work by Virginia Business and Best Companies Group. What I'm most proud of is our culture, which has been created by all of our employees; it is one of integrity, support, dedication and a high regard for one another. Swimways Corp., a leading outdoor recreational products manufacturer, announced today that it has been named one of 2014’s Best Places to Work in Virginia by Virginia Business and Best Companies Group. The company also has a program in place that helps new employees feel welcome and acclimated with their new environment. N.E.A.T week, which stands for “new employee assimilation and training,” includes a process where new hires spend time with existing employees in various departments, learning about their professional background and job duties, and connecting with each other on a personal level. In addition, Swimways also offers paid volunteer leave, paid birthday leave, summer hours and an on-site gym. The annual list of the Best Places to Work in Virginia was created by Virginia Business and Best Companies Group. This statewide awards program is a two-part survey process which identifies, recognizes and honors the best places of employment in Virginia. Part one involved the evaluation of each nominated company’s workplace practices, policies, philosophy, systems and demographics. This part was worth about 25 percent of the total evaluation. The second part consisted of a survey to measure employee experience. This final part of the process was worth approximately 75 percent of the total evaluation. The collected information was then combined to determine the strengths and opportunities of the participating companies and the final rankings. The registration, survey process and data analysis was managed by Best Companies Group. Based in Virginia Beach, Virginia, Swimways is a privately owned leisure and recreational products manufacturer whose mission is making free time more fun through innovation. It is a company rich in traditional values and respected for the quality and integrity of its products and services. With distribution in over 50,000 storefronts, it markets three unique brands: SwimWays®, Kelsyus® and COOP®. With offices in Hong Kong and the United States, the company’s diverse staff is passionate about developing fun and engaging products for kids of all ages. They are equally passionate about making sure kids are safe in and around the water and believe learning to swim is an important life skill. Swimways has been teaching kids to swim for over 40 years — longer than anyone else (except parents, of course!). In January 2007, Swimways began donating a portion of wholesale sales of the Swim Steps™ product line to Operation Smile. To date, the program has provided facial reconstructive surgeries to more than 5,000 kids around the world. For more information, visit http://www.swimways.com. 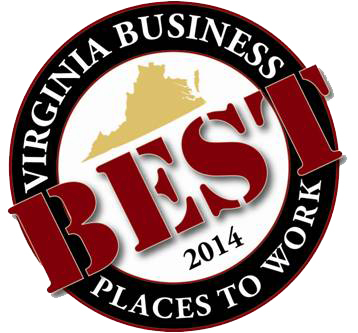 For more information on the Best Places to Work in Virginia program, visit: http://www.bestplacestoworkva.com.